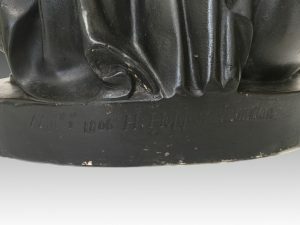 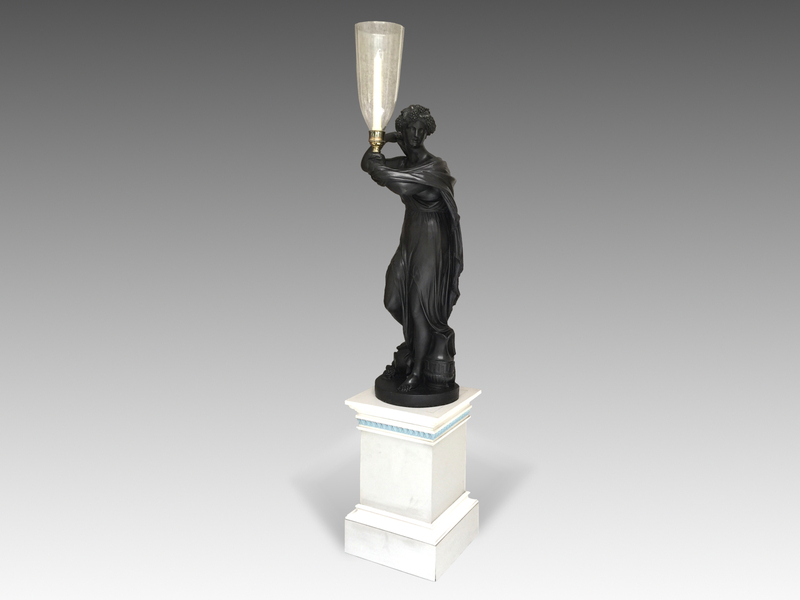 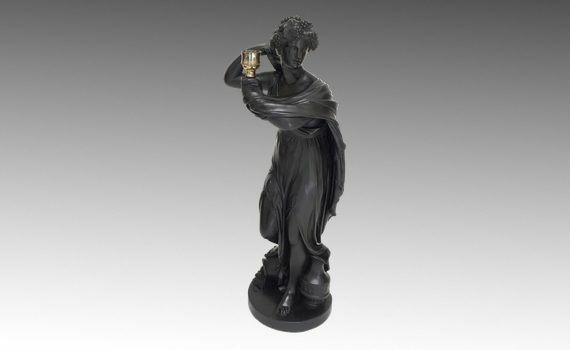 A black painted plaster figure of a standing classical bacchic muse holding a candle light. 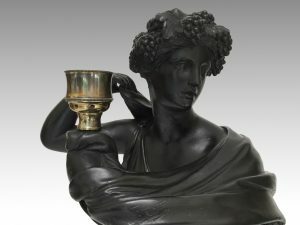 The figure standing in classical dress, grapes in her hair, at her feet and a wine ewer by the side. 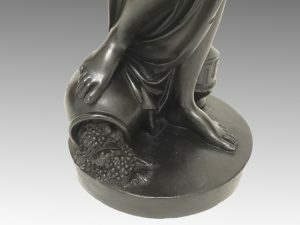 Storm shade replaced, plinth base later. 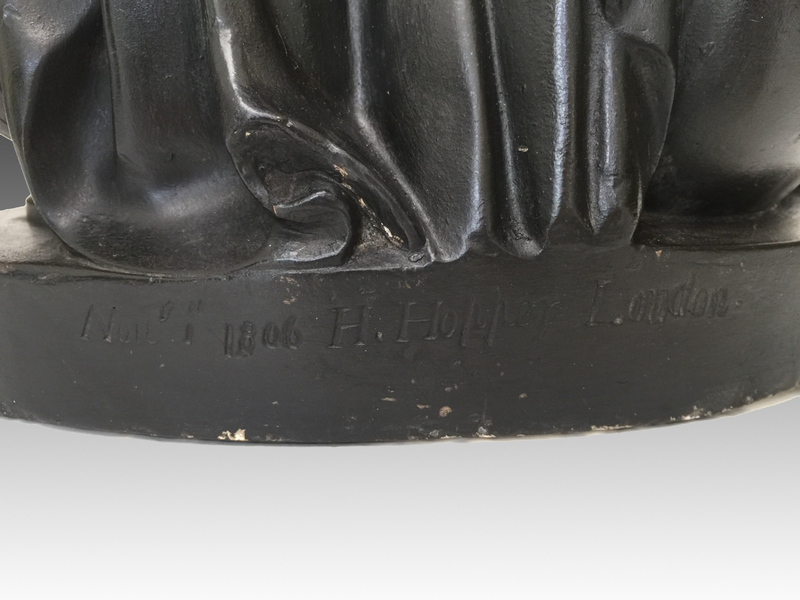 Signed to the base ‘Nov 1806 H Hopper London’.